The Church Without Walls is one church in 3 locations with over 20,000 members representing over 16,443 families in the Houston area. Under the Leadership of Pastor Ralph Douglas West, The Church Without Walls is devoted to spreading the gospel of Jesus Christ, the study and application of God’s Word, and global outreach. We wanted to maintain a sense of unity among members of all three campuses and decided to launch a video system that could simulcast the live sermons, Bible studies, and other events requiring two-way communication from one location to the others in real-time. As the Media Director for The Church Without Walls, I am responsible for ensuring that our live simulcasts are high quality at the site of the live service and also at remote church facilities. The ﬁrst video system we deployed had problems with packet loss during transmission that caused poor video quality, high latency and delays. 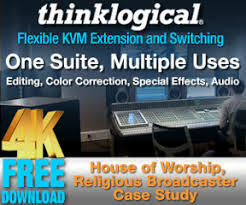 I often had to rush our lead technician out to the other church campuses to do emergency troubleshooting of audio and video problems during a service. That was very distracting for our church members and we didn’t want multimedia problems to take away from their worship experience. We started looking for a better system for video simulcasts. At first, we implemented seven T1 lines because all of the vendors we talked to told us that ﬁber would be cost prohibitive for our needs. Yet even with the T1s we were still having video transmission problems. Finally, we were able to improve picture quality by using a buffering appliance to stabilize the video feed. However, that solution added 5 to 10 seconds of latency which made it difﬁcult to achieve the real-time communication between campuses that we required. Seeking another solution, we were referred to Masergy. 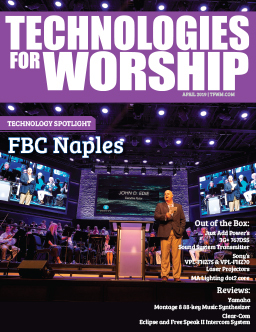 The ﬁrst pleasant surprise was when the Masergy engineers told us that they could run ﬁber at our church campuses and do it at a price that was very competitive with what we were paying for T1 lines. We engaged Masergy to provide its Intelligent Connectivity with MPLS (Multiprotocol Label Switching) solution for live broadcast/ ofﬁ ce communications and its Internet Plus solution for our Internet requirements. We also selected Masergy’s IP Multicast service to ensure real-time simulcasts, plus the company’s video service plane to ensure quality of service (QoS) for premium video broadcasting and its voice service plan for the highest-quality voice transmissions. 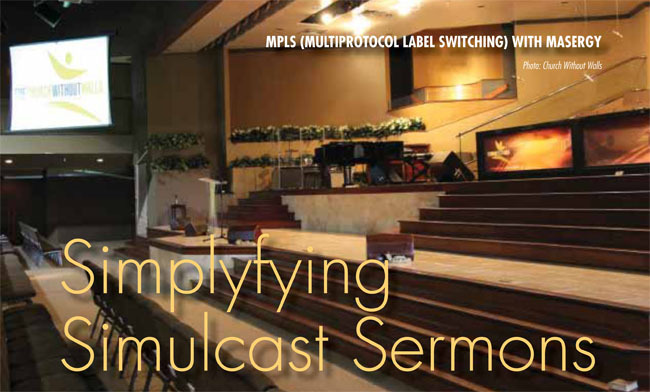 With this solution The Church Without Walls can ensure everyone in our congregations will be able to hear and see the simulcasts – without missing a word. Masergy performed a complete network overhaul using its high quality, multicast enabled MPLS network solution and Haivision video broadcasting equipment. After the implementation, the quality and reliability of our simulcasts were the best we had ever seen. 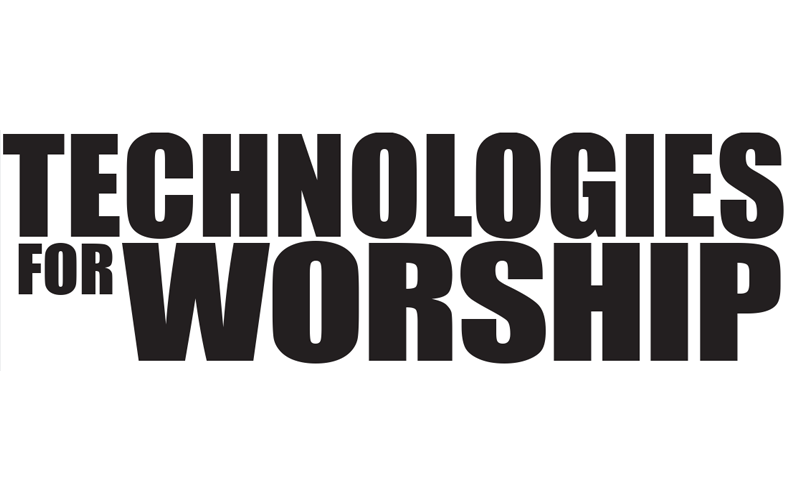 There are no more latency problems or transmission delays, so we are ﬁnally able to truly communicate in real-time among all three worship facilities. In Masergy’s global MPLS network with Video QoS all data packets are delivered in sequence to minimize latency. In addition to supporting our broadcast capabilities the MPLS network solution also provides the backbone for all of our data and voice requirements. Masergy’s Voice QoS sends voice data over a high network priority feed providing The Church Without Walls with a high-deﬁnition, enterprise-grade voice communication capability at all three campuses. Speaking from my perspective as a media director, I now have greater visibility into the network and more control over bandwidth allocation. I can use the secure Masergy customer portal to access intelligent source controls. This enables dynamic changing and allocation of bandwidth on a site-by-site level. If I need to increase the available bandwidth for a simulcast or multicast that will consume more bandwidth than usual, I can go into the Masergy portal and set the bandwidth between 10MB and 100MB and the changes are applied within 30 seconds. I can also easily dynamically upgrade, downgrade and control QoS policies through the portal and apply those changes in real-time. Having this control helps me closely analyze how much bandwidth our simulcasts are actually using and allocate overall bandwidth more efﬁ ciently according to our changing requirements. It has also been easy working with the technicians in Masergy’s Network Operations Center who monitor our network. They let me know immediately if any network anomalies or latency issues have been detected that could affect broadcast delivery or quality. I can also check that all of our network components and our video equipment are working properly by using Masergy’s Intelligent Service Control (ISC) and Managed Router and Intelligent Network Analyst (INA) tools through the customer portal. Masergy has exceeded our expectations for video quality and network performance. Our simulcasts will do what they were designed to do – unify our membership across three campuses with a single Christian message of faith. Masergy’s capability to provide bidirectional network feeds will help us take the next step to multi-site, bi-directional simulcasting of church services in the near future. Our simulcast issues have been resolved and my team and I can focus on other parts of our ministry at The Church Without Walls.